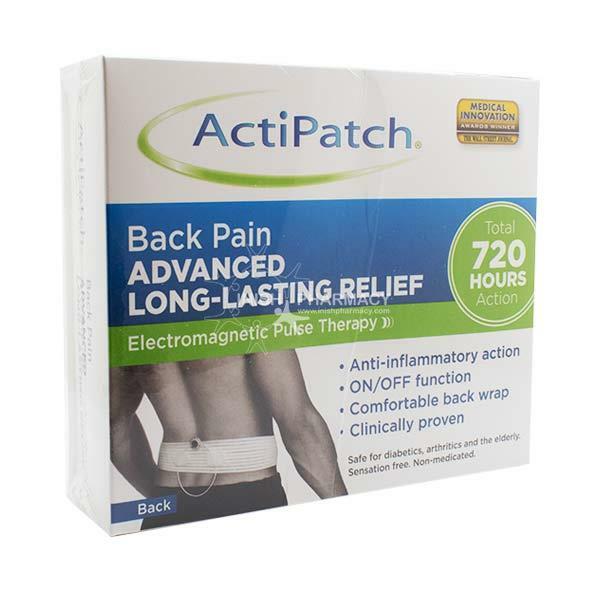 ActiPatch Electromagnetic Pulse Therapy Back Pain helps to ease long term chronic pain. It is designed to work on lower back pain, backaches, arthritis, sciatica, fibromyalgia, strains, sprains and general back pain. ActiPatch is drug and ingredient-free and is safe for continuous use with no adverse effects. Safe for diabetics, arthritics, bedridden and the elderly and can be used with any medication. It is long lasting with 720 hours of actions and has a convenient on/off switch.